What does it also say about how we engage in online contexts? 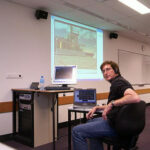 What does it mean for online course design? 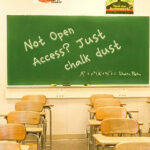 What could it mean for contemporary teacher education? I’ll take a moment between feeds and nappy changes to address that – 3rd time lucky I hope as my Outlook keeps crashing when I’m halfway through my response. I saw the reports about the Harvard study yesterday and I’m pretty sure they’ve missed the point and made some relatively meaningless (or at least depoliticised) findings. I think the elevator analogy is one thing that was almost certainly missed in the study – the whole network of the backend – the Direct Messages – which are not part of the public twitter stream. Also the part where the most personal and specific interactions occur. I also feel that they’ve got some unstated expectations about what Twitter should be rather than what it is. Like most other Web 2.0 technologies and systems like Second Life, the whole Twitter hype is driven by those who DO find it effective and useful. That doesn’t come form the aimless tourists who lob into the system send a single message and leave again without ever really engaging. If you come to Twitter (or Second Life, or any of these user driven systems) without a purpose then you’ll probably find little of value. It’s all about who you connect with and how you connect. Twitter isn’t going to last long as an entertainment protocol. 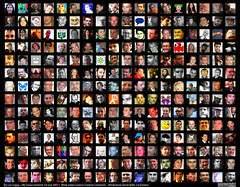 If you read a single random tweet it will seem pointless – if however you follow the person for a day, and that person is using Twitter for a reason, then you’ll get a sense of a story… stay with it for a month or so and you’ll start to feel like it’s a rich and multi-pathed novel… start to engage in that story with your own insights and ideas, and add to the twitter stream and it starts to become a part of your life story. The other focus about TEACHING is misplaced – Twitter is not an especially effective TEACHING tool – it is however a very good LEARNING tool for motivated, interested, open, directed, and active learners. The richness of learning comes when you begin to enhance your PLN with a cohort from Twitter. You are instantly connected to new developments, different insights and invitations, all liberally doused with personal involvement. To go back to the elevator and the 300,000 twitterers studied. Given a large cohort there will inevitably be a significant number of high volume contributors… look at books – how many of us write one? When the use of Twitter is examined in the light of the small personal communities that develop, we start to see that these high volume nodes are a lesser percentage of each individuals personal network. The study didn’t seem to look at the idea that this is about small personal networks rather than one huge amorphous user base. The Hype comes from those who do make good use of the system – it stands to reason, the naysayers wouldn’t sing it’s praises. 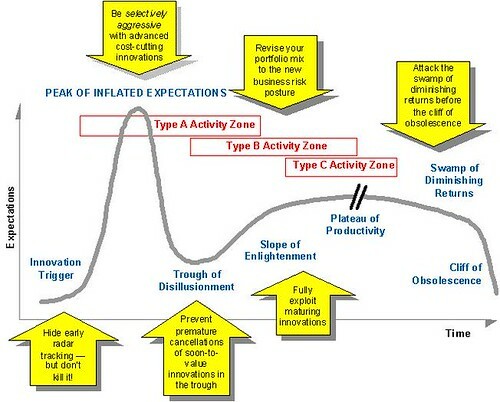 Let’s also consider the Hype Cycle… I’d guess that Twitter has also just about reached the Trough of Disillusionment, which means, if the cycle is meaningful and my reading is accurate, that we’re about to enter he most useful phase where the rich longer term understanding starts to come to the fore. I keep my knowledge in my friends (as Pierre Levy says “No-one knows everything, Everyone knows something, All knowledge resides in networks“) and I keep my friends close with Twitter and whatever other tools my friends prefer. The other dimension is that of timeliness – when my friends are doing interesting things they can let me know and include me. The DimDim Web Meeting system is looking more and more like Elluminate and Wimba classrooms… still not quite as elegant but very useable and significantly cheaper I suspect. This allows me to track the activities I want to be a part of – I can record or access archives and follow up at my leisure when there are items that I want to engage more deeply with. Having this panopticon overview means I can stay aware of bleeding edge developments of the very earliest and innovative users amongst my peers – wherever in the world they reside. Once again – its about the mindset and expectations that I bring to the tools and the community/network that I actively develop to ensure my online engagement is a key factor in my professional and personal learning. The Professional Networked Learning Collaborative seeks to leverage the new reality of education. 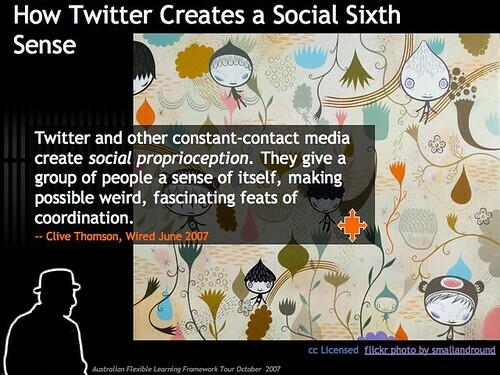 Using twitter in the classroom is becoming mainstream in many schools around the country and world. The challenge with any use of online education technology tool is the appropriate engagement of students in a meaningful manner. To this end, the successful use of twitter is about making connections with other teachers and students around the world to support significant learning events. Meet Milo – and think about drama, education and human development.